As the Election Commission (EC) has announced election schedules for five states, it has spelt out comprehensive instructions to crack its whip on illegal expenditure during the polling season. 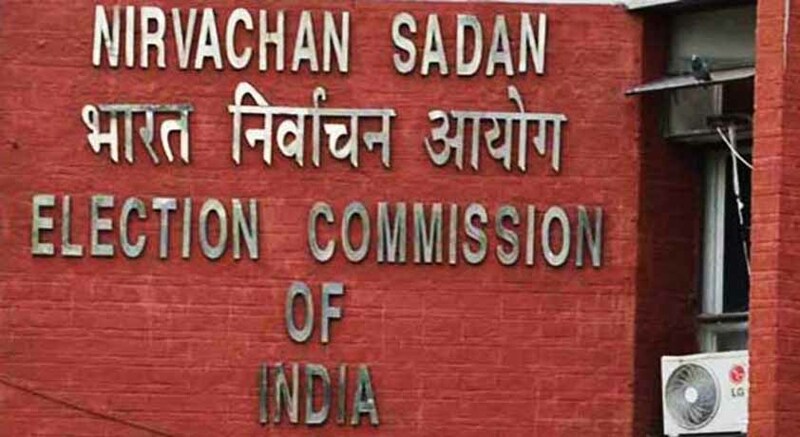 The EC has undertaken several initiatives to maintain close scrutiny over the election expenditure of the candidates, including GPS-monitored flying squads, video surveillance team and involvement of investigation directorates of Income Tax Department among others. For the purpose of effective monitoring of movement of funds, the EC has asked the state excise departments and police authorities to keep a close watch on production, distribution, sale and storage of liquor and other intoxicants (including narcotics) during the election process. ‘The Investigation Directorate of Income Tax Dept has been asked to open an Air Intelligence Unit at the Airports of these states to gather intelligence and take necessary action against movement of large sum of money in these states,’ the EC notification stated. The candidates have also been advised to open a separate bank account to fund for election expenditure. All expenses for the purpose of election shall be incurred from that very account. The EC intends to maintain greater transparency through this and also enable swift and easy monitoring of expenses. As Goa, Manipur, Punjab, Uttarakhand and Uttar Pradesh are set for the general elections to the state legislative assemblies, the EC directives on expenditure monitoring will prove crucial in checking flow of black money. Modification of the standard operating procedure for seizure and release of cash: To avoid inconvenience to common people with genuine need for carrying cash, the standard operating procedure for seizure of cash and release has been modified. An appellate body will be in place in every district to attend to petitions from the public. The committee will suo motu examine each case of seizure by the police or flying squad or static teams and in suitable cases immediate steps will be taken to release the same. Accounting of the expenditure incurred for campaign vehicles: It came to the notice of the commission that candidates take permission from the Returning Officer for use of vehicles for campaign purpose, but some candidates do not show the vehicle hiring charges or fuel expenses in their election expenditure account. Therefore, it has been decided that unless the candidate intimates the RO for withdrawing the permission, the notional expenditure on account of campaign vehicles will be calculated based on the number of vehicles for which permissions is granted by the Returning Officer. Filing of part statement of election expenditure by political parties in 30 days: The political parties will be required to file a part expenditure statement in respect of the lump sum payments made to the candidate, within 30 days after declaration of results. Account Reconciliation Meeting: In order to reduce litigations relating to expenditure accounts, a reconciliation meeting will be provided before final submission of the accounts, on the 26th day after the declaration of the results. All expenditure incurred by those candidates, their party agents or party leaders on their travel, boarding, lodging etc. who travel to overseas countries for the purpose of canvassing in their favour to seek votes of overseas electors residing there, would be deemed to be the expenditure incurred or authorised by the candidates in connection with their election and will have to be included in their account of election expenses. Inducement to overseas in cash or kind to be treated as bribery: Moreover, any inducement to overseas electors by way of air tickets or any other documents to inducements to them, in cash or kind, to come to India for the purpose of voting at the election would amount to the electoral offence of ‘bribery’ within the meaning of section 171B of the IPC as also the corrupt practice of ‘bribery’ within the meaning of section 123(1) of the R.P. Act, 1951. Candidate’s booth/ (kiosk) outside polling station- expenditure to be included in candidate’s election account: In order to ensure effective, accurate and credible election expenditure monitoring and to ensure that the candidates’ expenditure accounts faithfully represent the actual spending on electioneering, the commission has decided that the candidates’ booths set up outside the polling stations should, hereinafter, be deemed to have been set up by the candidates as part of their individual campaign and not by way of general party propaganda and all such expenditure incurred on such candidates’ booths shall be deemed to have been incurred/authorised by the candidate/his election agent, so as to be included in his account of election expenses. The DEOs have been asked to notify the rates of the candidates’ booths set up outside polling stations after due consultation with the political parties as per extant guidelines. Further, Schedule 6 of account of election expenses to be submitted by each contesting candidate has also been modified accordingly. The election expenses ceiling for candidates has been revised by the Government of India vide notification dated 28th February, 2014. As per the revised ceilings, the maximum limit of election expenses for the assembly constituencies is Rs. 28 lakh per candidate for Punjab, Uttarakhand and Uttar Pradesh and Rs. 20 lakh per candidate in Manipur and Goa.